To experience everything Nevada has to offer, take a trip to the Reno-Tahoe territory. Filled with opportunities for day-trip adventures, you can hike, swim or play throughout your entire vacation. Boasting two large lakes, Lake Tahoe and Pyramid Lake, you can get your fill of water sports, including kayaking, paddle boarding and boating. Explore the surrounding area with hiking trails or take a drive along the scenic routes. Once you've had your fill of the outdoors, relax in one of the local breweries or museums to chat with the locals and learn more about what this area has to offer. If you're into history, then grab a chance to walk in the steps of cowboys at one of the surrounding ghosts town. Visit Mark Twain's old stomping grounds in Virginia City, where you can grab a seat at an actual saloon and enjoy a glass of craft beer or wine. Visit Reno, the biggest little city in the world, where the spirit of Burning Man is kept alive year-round! Creativity thrives in the local Burner boutique businesses that line the streets, offering an array of eclectic artwork and clothes that made the desert festival famous. Meet the colorful locals at one of the craft breweries then take a stroll along the Reno Riverwalk, adorned with more Burning Man-themed sculptures from the playa. Right outside of Reno, Lake Tahoe is an outdoor adventurer's paradise. North Shore offers a ski resort and lodging at Diamond Peak. If the slopes aren't your thing, there's two golf courses and plenty of sandy beach to explore. On the South Shore, you can try your luck and one of the towering casinos that pepper the area. No matter where you stay on Lake Tahoe, you'll have plenty of opportunity to hike, kayak, paddle board, boat and swim. Indulge your eccentric side in Gerlach, the town that boasts the slogan, "Where the pavement ends, and the West begins." As the last gas stop before hitting the Black Rock Desert, take a day and explore the little city. Try the ravioli at Bruno's Country Club before getting the lay of the land at the Friends of Black Rock/High Rock information center. Get in the Burning Man spirit on Guru road, a mile long dirt road adorned with sculptures and words of wisdom for your journey. Whether you're staying for a day or a week, this small Nevada region packs a lot to do. You won't want to waste a second with so much adventure at your fingertips. Plan a trip with Mighway, and let the journey unfold. The National Automobile Museum, located just south of the Truckee River in Reno, Nevada, displays historic automobiles from the late 19th century and from throughout the 20th. Most of the vehicles displayed are from the collection of the late casino owner William F. Harrah, and so the museum is sometimes referred to as The Harrah Collection. The museum opened in 1989. The museum displays the most complete collection of Comstock mining artifacts in the world plus rare photos, lithographs and maps of the "Bonanza" period. Virginia City's history is widely celebrated downtown with a multitude of museums featuring Mark Twain's writing, the years of radio inspired by bonanza king and telecom giant John Mackay, the critical importance of police and fire, the connection with famous Madame Julia Bulette and the role of a Civil War general.At the top of the list as a must see, the "Way It Was Museum" takes visitors back in time to show how things that mattered in life worked for Virginia City. A few steps in the museum, and you can see the works of milling and mining with old Cornish pumps. Also check out costumed mannequins, mineral collections, a fully-equipped blacksmith shop, rare photographs and information on the Sutro tunnel mule train. The tunnel, created by San Francisco investor Adolph Sutro in 1869, was designed to ventilate the mines, drain water and provide escape for miners. Welcome to the Nevada State Museum in Carson City, celebrating the state's natural &cultural history and featuring the historic Carson City Mint. A poker table that allegedly is cursed and causes gamblers to commit suicide. The Suicide Table is a Faro table currently on display in the Delta Saloon in Virginia City, Nevada. It is so called because three owners of the table committed suicide. Above the table, there is a sign that reads: "So called because three previous Owners are reported to have committed Suicide because of heavy Losses over this Table. Originally a Faro Bank Table brought to Virginia City in the early 1860's. The Owner, supposed to be one "Black Jake", Lost $70,000 in one Evening and shot himself." The second owner, whose name is lost in history, ran the Table for one nights play. He was unable to pay off his losses. One report has it that he committed suicide and another report has it that he was saved the trouble. The table was then stored for some years because no one would Deal on it. It was finally converted into a '21' Table sometime in the late '90s' and its black reputation seemed to have been forgotten, until one stormy night. A miner, who had been cleaned out in some other gambling house stumbled in half drunk. As the story goes, he gambled a gold ring against a five dollar gold piece, and won. He played all night Long... and by morning had one over $86,000 in cash, a team of horses and an interest in a gold mine. Everything the owner of table had in the world. That caused the third suicide. Many famous men have gambled for high stakes, leaning on the green cloth, watching the turn of a card. Fortunes have been won and lost on it. Suicide Table is truly a relic that is replete with memories of the old town, and who knows, perhaps the ghosts of the old timers are still leaning on their elbows, watching for the turn of a card. Virginia City is a town of relics & memories & ghosts of the past"
Planning a visit to the Biggest Little City in the World? 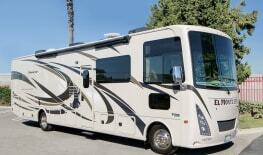 Stay at the Silver Sage RV Park, Reno's most deluxe and friendly RV destination. Right across the street from the Peppermill Casino, the Silver Sage RV park features convenient access to shopping malls, restaurants and everything Reno has to offer. Picture a peaceful campground and dazzling resort casino all in one - then come camp here! KOA and the adjacent Boomtown Casino & Hotel offer the fun and convenience of KOA camping with full access to resort hotel amenities. That means nightlife, entertainment, shops, restaurants and, of course, big-time gaming excitement paired with comfort, 24-hour security and well-lit, well-maintained camping facilities. 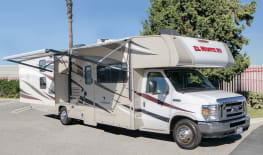 At an elevation of 4,866 feet, this all-RV campground features full hookups at every site, including cable, free Wi-Fi and a scenic view of the Truckee River and surrounding mountains. The landscaped KOA also offers a seasonal heated pool and spas. Nearby, there is a Cabela's retail store and a Chevron Mini Mart. Whether you go for picnic tables or poker tables, you're a big winner here. Pool: May - October Max pull thru: 55 feet.